I really do not need to study chakras to know what to do in a deliverance. 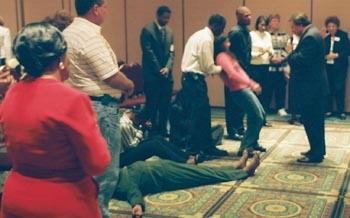 In my deliverance with tormented captives, the Holy Spirit has led me to close their chakras. I addressed the deity or low level god by name, and commanded each of 8, one by one, for all demons to come out and for the each chakra to be closed. For example, John and Betty suffered from hearing voices, 24/7. And once I closed the chakras, the torment stopped. No more voices to hear. “My life had been supernatural since 1974.